With special ‘fingergrips’ to help you pull on these Timberland PRO Men's Brown 92671 Boondock EH Composite Toe Boots, you can be pretty sure they’ve been designed with you in mind. It’s the little touches like this that make you realize why Timberland ... (see full details) (see specifications) #TMBTB092671214. With special ‘fingergrips’ to help you pull on these Timberland PRO Men's Brown 92671 Boondock EH Composite Toe Boots, you can be pretty sure they’ve been designed with you in mind. It’s the little touches like this that make you realize why Timberland is such an iconic workwear brand - they care how their work gear works for you. And looking at the rest of the features on these composite toe boots, we’re pretty sure that this pair is one of the best there is. With deep lugs for extra traction on even the most treacherous of terrains, you can be sure that from the sole up, these Timberland PRO boots won’t let you down. And the dual density dynamic anti-fatigue technology in these waterproof boots means you’ll soak up the shocks from the impact with the ground and have that turned into energy that you can use in the parts of the foot that need it the most. There’s also a fiberglass shank embedded in the sole of these safety toe boots, which will help keep your foot in great shape, even when the ground underneath has other ideas. That tells you all you need to know about how comfortable your work day is going to be - a walk in the park, even if it’s on the toughest of ground conditions. Inside these EH boots your feet will remain dry, even if it’s a deluge of rain outside. They’re made from premium waterproof leather with a waterproof membrane, that’s even resistant to abrasion. They’ll not only keep you dry, but these waterproof boots will maintain their good looks and integrity too. The molded Timberland PRO rubber toe protector will protect your toes in more ways than one when you wear these Boondock boots. Because when you combine that with the three quarter Goodyear welt and cement heel construction, you get stronger bonds, more flexibility, and EH protection too. That means that even in the most electrically charged environments, you’ll have the best chance of avoiding electric shocks. These 8-Inch Boondock men’s work boots have it all. From dual purpose top hardware that let’s you customize how you lace them up, to an Ever-Guard leather heel, you’ll get amazing durability and long-lasting performance. Finished in stylish brown and with a comfort collar, you can be sure that when you pull on these Timberland PRO Men's Brown 92671 Boondock EH Composite Toe Waterproof Boots, you’ll be pulling on your new favorite work buddy. Mesh lined with antimicrobial technology and ready to stand the test of time, you’ll be sure footed and ready for whatever the work day throws at you. Purchased these from working persons store (Lakeville, IN) and was thrilled that they had a good wide width boot available and the style I wanted. The boots them selves are great! Very comfy, good for long days of wearing and great support with very little sole wear. I've owned these now for about a year with almost daily wear. The only negative is that the stitching along the upper heel area has come apart within a couple months. Needless to say, I can still go through water without it seeping in which is awesome btw and eventually I'll take them to a cobbler and have them stitch it back together. I suggest that you waterproof them often and they will last for a good long time. I'll definitely purchase another pair when the time comes! My husband loves these Timberland PRO boots!! Yes the price is kinda high, but knowing the warranty is taken very seriously with this company the price becomes a non issue. You will not be disappointed men, this is a very comfortable boot. We have now purchased at least 3 pairs over the last 3 years. My husband is on his feet all day at work ( diesel mechanic ) so he needs the best boot he can find. So far this one is the best we can find. Seems like the other boots only lasted 3-4 months and that gets very costly. There wasn't any break in time for these Timberland PRO boots. They last for a minimum of 14 months without any discomfort. I never have had the tread wear out even on 2 year boots. It has good traction in snowy weather and I've never had any leaks. I would recommend this product. It's a little pricey, but to me worth the money . In my line of work we wear boots out fast. 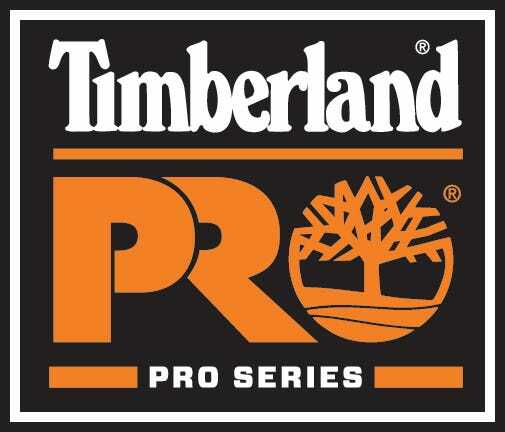 The Timberland PRO's are rugged and last the longest of any boot I've tried. Better yet, they fit like your favorite worn in boots but they're brand new out of the box. Timberland PRO Boots: Men's Brown 92671 Boondock EH Composite Toe Boots is being added to your cart.